His Excellency Tan Sri Muhyiddin Hj Mohd Yassin’s visionary initiative to build vigorous sports programs for Malaysian children has led to the United States Sports Academy developing a diploma program for the Southeast Asian country that is arguably one of the largest remedial programs in physical education and sports coaching ever undertaken. Muhyiddin, who is both Malaysia’s Deputy Prime Minister and Minister of Education, directed the implementation of “One Student – One Sport” in Malaysia’s schools to improve physical education and scholastic sports for the nation’s children. He soon saw a need to provide more physical education and sports training to tens of thousands of the nation’s physical education teachers and coaches who oversee the students’ development in sports. His Excellency Tan Sri Muhyiddin Hj Mohd Yassin, who is both Malaysia’s Deputy Prime Minister and Minister of Education, is receiving a 2012 International Honorary Doctorate at 5 p.m. Thursday, Jan. 17 from the United States Sports Academy at its Daphne, Ala., campus. This led to the Malaysia Ministry of Education (MOE), which Muhyiddin heads, approving the Academy’s latest sports education program for Malaysia—the International Diploma in Physical Education and Scholastic Sports (IDPESS). The Academy’s work with Malaysia began nearly six decades ago, and during the school’s history it has delivered sport and physical education programs in more than 65 countries to more than a quarter million people. Because of Muhyiddin’s visionary leadership, the Academy is honoring him with a 2012 International Honorary Doctorate. Muhyiddin is scheduled to receive the International Honorary Doctorate during a ceremony at 5 p.m. Thursday, Jan. 17 in the Main Gallery at the Academy’s campus in Daphne, Ala. In addition, he plans to visit Daphne High School earlier that day at 9 a.m. to learn more about its digital renaissance program that gives every high school student in Baldwin County a laptop to enhance their studies. The “One Student – One Sport” initiative is one of Muhyiddin’s major efforts in his current leadership roles since 2009. This endeavor, which offers more structured and organized physical education classes and sports programs, is seen by Muhyiddin and the nation’s leaders as critical for the health, fitness and learning benefits it provides youth. It also is important to the development of a national system that allows youth to advance in sports with the best eventually competing in the Olympics or in professional sports. The Academy recently completed training the first 1,000 Malaysian educators from June to December and plans call for tens of thousands more to eventually go through IDPESS over the next several years. The Academy’s 10-course diploma program is approved by the Malaysian Qualifications Authority (MQA), a national accrediting body. This continuing education effort is but one part of Muhyiddin’s strategy to enhance Malaysia’s physical education programs as he and his team continue to look for ways to develop its next generation of elite athletes. The country of nearly 29 million people has had athletes win a total of six Olympic medals, which have come in badminton and diving. Other popular sports include soccer, field hockey, rugby, gymnastics, martial arts and cycling. Muhyiddin has served in a number of government roles since earning his bachelor’s degree with honors in Economics and Malay Studies in 1971 at the University of Malaya, one of the country’s renowned schools. He first became a member of the Parliament of Malaysia in 1978. Some of his recent posts include Minister of Youth and Sports (1995-1999), Minister of Domestic Trade and Consumer Affairs (1999-2004), and Minister of Agriculture and Agro-based Industry (2004-2008). Muhyiddin is the third Malaysian to earn an International Honorary Doctorate from the Academy. In 2008, the sports university honored His Royal Highness Tunku Imran, the Malaysian Prince and President of the Olympic Council of Malaysia who has been active in the international sport community and Olympic Movement for more than three decades. In 1990, the Academy bestowed an International Honorary Doctorate on YAB Dato Sri Mohammad Najib Abdul Razak, Malaysia’s current Prime Minister and former Minister of Sport. The Academy’s work in Malaysia began when it became an independent nation in 1957 and Academy Founder, President and CEO Dr. Thomas P. Rosandich coached the first of his many national track and field teams there. Rosandich led a combined team of athletes from Malaysia, Singapore and North Borneo to the Asian Games in 1958. The Academy’s first sports education programs in Malaysia began in 1981. Over the years, the institution has taught its International Certification in Sports Management (ICSM) and Sports Coaching (ICSC) programs in the country. Today, Malaysia remains one of the few predominantly Muslim nations that maintain close ties to the United States.  The Academy’s programs are designed to help individuals develop a strong foundation of skills and knowledge required to succeed in coaching, physical education, management, fitness and other sport-related disciplines. Known as “America’s Sports University,” the Academy today has grown into the largest graduate schools of sport education in the world and offers regionally accredited programs at the bachelor’s, master’s and doctoral levels.